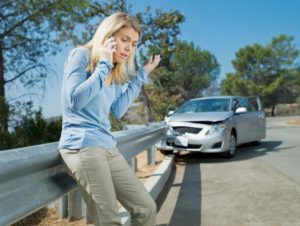 With that, we introduce a few helpful things that drivers should do if they are involved in an accident. We hope that you do not need these pieces of information, but like any safety measure, it is always better to know about it ahead of time. Get to a safe place – Being in an accident is hazardous, but the chances of being seriously injured increase once you leave your vehicle. This is especially true if your car becomes disabled on a busy highway. If you are unable to move your car, stay in it until the police arrive. Document the scene – While smartphones may lead to car accidents, they ironically can be helpful in capturing the scene as it was before anything can be moved or altered. With that, try to take as many pictures of the scene, and of your vehicle. In fact, your insurance company may have an app that allows you to upload photos directly to your adjuster. Watch what you say – It is important to avoid any statements that could be read as admissions of guilt. Of course, it is okay to ask if someone is okay, but be careful about saying sorry or that you were at fault. If you have additional questions, an experienced personal injury attorney at Leiferlaw can help you.